Have you unlocked your career potential? JobMantras.com Career Guidance and Career Coaching programmes offer a personalized one-on-one forum for professionals to gain self-awareness, goal-clarity, achieve development objectives, unlock and maximize true career potential. Our Executive Guides and Coaches provide a confidential space for you to achieve clarity on vision, goals, strengths, choices and potential outcomes and also support you while you work towards achieving these. Our coaches act as specialist sounding-boards to bounce off ideas / career-plans and also to offer ongoing guidance on job-selection and salary negotiations. Our coaches mentor you on successfully on-barding a new organisation. We offer a wide range of programmes so that you can choose the one best suited to the stage you are at in your career and where you aim to grow. Prakash Kewalramani is an Engineer from IIT-Delhi & MBA from IIM-Ahmedabad and has extensive Senior Management experience in the Corporate & Recruitment World. 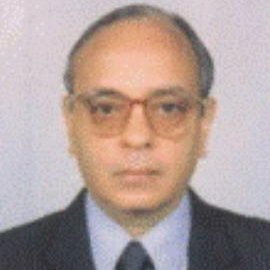 He has worked in several blue - chip MNC organizations before promoting the highly successful Executive Search firm Impact HR Services in 1994 (a highly reputed Recruitment Firm having offices in Mumbai, Bangalore & Pune, over 45 consultants and engaged in recruitment at Senior & Middle Management levels for reputed MNC & Indian organizations). Throughout his professional & recruitment phases, Mr. Kewalramani has interacted and guided a very large number of professionals for their professional enhancement. Mr. Kewalramani has been associated with ERA (Executive Recruiters Association) since its inception, was the Chairman-ERA for the year 2007-08 and has been the Chairman of ERA Ethics Committee since 2012. 4. Refund-Policy: For one-time session, no refund will be provided. For other programmes, refund will be provided (for the remaining sessions) on pro-rata basis less 25%. This will be done if intimation of the discontinuation / cancellation is received by us in writing at least 15 days before the start of the next scheduled session.